If you ever wanted to talk about anything, to think about it, then to laugh about it, then this show is exactly just for you! Jojo Goodgame lives in Downtown Cleveland and is absolutely loving life! "Archaeology is a science because there are scientific procedures that must be followed. It is not a treasure hunt where digging is conducted in a haphazard manner. Rather, it gradually uncovers ... Más informaciones meaning where digging takes place layer-by-layer where one's patience, stamina, and all thy passions are literally put to the test. However, it is not enough to just uncover something, it must also be studied and explained responsibly to legitimately explain a better understanding of, not only man's past, but in what is yet to come. Archaeology encourages that it can be science or art in its most simplistic of forms when holistically experienced—however proponents be maintain that it is both—which is primarily concerned with the material remains of humanity's past - left for the seeker to discover such hidden revelations. Furthermore and with deeper analysis, there are two aspects to the archeologist’s concern... as far an Advanced sense of Archeology is concerned: The first of these is the discovery and reclamation of ancient remains; this usually involves field excavation or at least surface collecting and recollecting. The second concern lies within the UNCOVERING OF TRUTH from amidst a world of disinformation and propaganda." Katrina Hutchins and Dave Road-to-Ruins are seekers indeed and with regards along that very journey... within the many revelations of which will uncover itself to be true... a sense of rediscovery will tend to reveal itself as so. Such a rediscovery will not only be of one which will, one day, ultimately explain our hidden past... but rather (on a darker note) will uncover a different hidden truth of which will reveal the Architects of Deception by the Powers-That-May-Be. Humanity is Awakening and we are all feeling the very change (from within) for which we would so desire to see in this World Today. Join Joel Ayala Ayapana and Irvin ... Más informaciones "Skipp" Young - Hosts of Awakening Paradigms - as they will guide you to the World of Quantum Theory, Philosophy, and Spirituality. Podcast co-hosted with Mr. Irvin "Skipp" Young. Irvin “Skipp” Young is a Retired Federal Law Enforcement Officer and a Gulf War Veteran of the U.S. Air Force where he had served as a Life Support and Survival Training Specialist. His tours of duty include Africa (Somalia), Italy (Bosnia), UAE, Turkey, Spain, Europe, Japan, South Korea, and Alaska. He has honorably served the community as a Commissioned Special Police Officer for the Montgomery County Police, the Alexandria City Police, the U. S. Department of Homeland Security, and for the U.S. Department of Veterans Affairs. He was nominated by the National Black Women’s Caucus (Akron Ohio Chapter) for man of the year 2013 for contributions in their “Stop the Violence Program.” Irvin “Skipp” Young was further Inducted into the “Global Who’s Who” under the profession of Law Enforcement. Additionally, this inspiration and highly talented soul has performed as a musical artist with Hellraisers, The Hustlers, the P-Funk Outlaws, and the Universal Funk Mob Musical group – Blaque Ahys. He has performed in concert with Melba Moore, opened for Michael Franks, recorded under the supervision of Ice-T, Shorty from the Lench Mob, Polar Bear, and Public Enemy. Furthermore, he is an active member of the Ancient Mystical Order of the Rose Cross. He is a seasoned world traveler and travel enthusiast, a home-based business owner and entrepreneur, an inspiration, an Awakener of Hearts, and a Seeker of Universal Truths. Join LoLo as she shares the stories of others who are living their lives from their authentic selves and learn about how their amazing creative ideas are changing the world. Innovative approaches to body movement, nutrition and mindful practice. ... Más informaciones It all starts with AWARENESS. We are beings that constantly evolve. True living is lived from a state of awareness. Awareness of self (mind, body and heart) allows us to constantly connect with ourselves and realize how we evolve from moment to moment, day to day, year to year. If we make a conscious choice to be aware of our own evolution we are able to consciously live from our authentic self. Sharing our authentic self with the World as a community changes the landscape of the present, which influences what comes next…the future. LoLo Adi Parashakti is a woman who revolutionized her life through the power of knowledge, self-love, vigilant awareness and living from a place of authentic self-expression. In early 2006, LoLo was diagnosed with symptoms related to Multiple Sclerosis (MS), symptoms she had suffered from for years. When conventional medicine had no answers for what MS exactly was, or how to cure it, LoLo took matters into her own hands. Through her journey of research and experimenting, she healed herself. LoLo dedicated herself to a daily practice of meditation and working with the mind to create new pathways of thought, eating foods to heal her body and restore her to complete wellness and practicing intuitive movement that supported her regaining strength and balance. In 2007, LoLo was introduced to Tapping (EFT), a form of emotional acupressure, and integrated this into her daily practice of meditation to help further her healing. By 2009, LoLo had restored her health and almost all of the symptoms related to MS were gone. In 2012, LoLo began working at a Wellness Center at a local community center in Pittsburgh, PA. It was here Lolo saw how valuable the knowledge she had discovered could change lives. She introduced outside-the-box ideas of nutrition and movement that began to literally save lives. LoLo created nutrition and movement programs for the adults, as well as for the children that attended the after school programs. Next, LoLo began teaching guided meditation to middle school aged children in the local public schools and movement practices in the form of dance. In 2013, LoLo taught and performed Latin and Integrative Dance throughout Pittsburgh. In Autumn 2014, LoLo choreographed and performed a Latin dance steeped in the older traditions of Latin dance in the program “Duende” held at Heinz Chapel in Pittsburgh. In Winter 2014, LoLo created her business Aloha LoLo to share her knowledge of meditation, tapping, nutrition, and movement. She is currently leading Meditation and Tapping Workshops throughout the United States, expanding in 2016 to countries outside the United States, with her first stop being Japan. LoLo is also creating online Guided Meditation and Meditation Mantra Music. LoLo currently resides in Pittsburgh, PA with her four children ages 10, 8, 6 and 4 months. She daily practices meditation and tapping and studies the teachings of the Buddha, attending a local Therveda Buddhist temple, but LoLo also studies the teaching of the Tao, Hinduism and other spiritual philosophies that resonate with her own truth. LoLo also loves to dance the dances of many cultures, practice Iyengar yoga, surf, climb and move her body as it needs to. Most days LoLo can be found with her nose in a book reveling in the stories of others. The objective of this show is to shatter the False Left-Right paradigm in the American political system. For too long now the elite Cabal of Criminal Banksters have had a death grip on the American Government and the corporate whores in the congressional ... Más informaciones offices of the three branches, as well as the media. Reality is grim, deadly, dangerous, hateful, perverted, nasty and demented. But... it doesn't have to be! Welcome to the Revolution! Stephen Roberts is a dynamic Radio Broadcaster, Sales Associate for Stream Energy and Mobile Services and a Journalist in the Alternate Media. He grew up in Southwestern Michigan and worked in various assembly lines for eight years until one of the many recessions hit the country. This fateful experience forced him out of the blue collar world and into a personal and professional alteration, thus expanding his horizons into the corporate world. He put down the hammer and enrolled at Axia College, and the University of Phoenix at the age of 44. Renewed and revived he graduated with a degree in Mass Communications, and began the BA program of Business Communications. Shortly thereafter, Stephen decided to help the resistance of government tyranny, and joined the inspiring world internet radio and TV broadcasting! Welcome to the Revolution! This podcast shares spiritual stories, tools, and techniques that will help people to unleash their soul’s power while maintaining balance in the physical world as they step out of the spiritual closet. ... Más informaciones Stories from stay at home moms, CEO’s, teenagers, lawyers, and grandparents who are out of the closet, using their spiritual gifts and shining their light. Dr. Wendy Perrell walks the path as a Shaman, healer, soul doctor, energy alchemist, and medium. Dr. Wendy is on mission to help people awaken to their light and feel empowered to fulfill their soul’s purpose. As a multi-dimensional being, she serves others as a spiritual midwife, messenger, teacher, and spiritual translator as she assists people to feel comfortable to step out of the spiritual closet. With gentleness and humor she helps her students to seamlessly integrate their spiritual gifts with life goals and heart’s desires. Dr. Wendy teaches the art of walking in both worlds – physical and spiritual with ease and grace. As a Wayshower, she meets people wherever they are in awakening process and teaches how to activate their soul guidance system, strengthen their spiritual muscle, honor their divine human blue print, and channel angels with classes such as Master the Art of Communicating with Angels, Strengthen Your Spiritual Muscle, Align with Your Soul’s Purpose, and Activate your Soul Guidance System. Dr. Wendy provides spiritual mentoring, ancient wisdom, tools, and practices that result in increased freedom, expression, confidence, love, wealth, health, joy, and balance. Dr. Wendy works with a powerful team of Ascended Masters, Angels, Lemurians, Pleiadeans, Elementals; transcending the limitation of language and science. She is an expert in balancing karmic patterns, resolving past life hold-ups, illuminate natural spiritual gifts, as well as eliminating negative emotional and thought programming. With the assistance her angelic team, she can read your energy, explain why it is stuck and facilitate healing inside and out. Dr. Wendy, Air Force Veteran, stepped out of the spiritual closet and learned to successfully walk in both worlds. She believes your personal power determines your destiny and advocates for the authentic expression of the soul. People all around the world are waking up and have hundreds of questions about spirituality, spiritual gifts, guides, angels, energy, karma, divinity, and how to move forward with greater consciousness. Dr. Wendy, motivational speaker makes the waking up and stepping out of the spiritual closet natural, fun, and empowering. Dr. Wendy is the founder of We Empower Consciousness where she provides soul essentials that empower and encourage all souls you and old to shine. Come and join the conversation about what's going on and what we can do together about it, with it, and for it. We have the choice, we have the power. We can do magic if we just believe! A show about the changes going on in us, to us, around us, and because of us. Therefore, it's technically a show about ... Más informaciones "Everything," only with a how to make it better, see it better, be better.In the show,there is talk about, and with, people who have either been through major changes, are helping others with major changes, or people who are changing the world for the better in a major way. Conversations with an Automatic Writer is about the many conversations with Joel Ayala Ayapana, not only the Executive producer & Founder of Real Revolution Radio 2.0, but he is also the Author ... Más informaciones of his intriguing and inspiring memoir -called The Book of Positive Light: Remembrance of the Heart. This book is essentially a perfect example of Automatic Writing. And this particular podcast focuses on the several talk shows of which Joel has been invited to as the very special guest to their platforms where spirituality, self-mastery, Quantum Theory and many other topics worthy of discussion, including the mystery of the very World of Automatic Writing, is explicitly talked about in detail wiithin their indepth conversations. As a Spiritual Lightbody Mentor and Metaphysical practitioner, Dr. Edwige helps you integrate higher conscious experiences into your everyday life, improving your one-to-one connection to God-Self. She regularly combines the principles from her ... Más informaciones studies and experiences with her spiritual guides to bring you the clarity you need to awaken the light within. Her award winning book “You’re Not Crazy, You’re Awakening” will change the way you see the Awakening! As a Spiritual Lightbody Mentor and Metaphysical practitioner, Dr. Edwige helps you integrate higher conscious experiences into your everyday life, improving your one-to-one connection to God-Self. She regularly combines the principles from her studies and experiences with her spiritual guides to bring you the clarity you need to awaken the light within. She holds within her being the Template of the Lemurian Seed. These seeds are part of the core of the soul's essence that is sourced from within the galactic core. And they are the keys to helping position you for “Ascension” and allowing you to get back on track by returning to your original Divine Blueprint. She was gifted by Divine - Source the ability to clear energies that are blocking the flow of source from moving in to you. As a clear conduit of vibrational energy she facilitates the activation of codes deep within to awaken you, bringing with it integration of your soul and Light body while helping bring your physical body back into alignment of health and well-being. Her award winning book “You’re Not Crazy, You’re Awakening” will change the way you see the "Awakening" while answering the age old question of "Are we alone?" Our world is ever-changing. People are facing many struggles and uncertain times in their everyday lives. Mother Mary is offering love, support, and encouragement in her letters. She is reaching out, helping us to ... Más informaciones remember how to feel love and joy again: love and joy for ourselves, and love and joy for the world we live in. In the pages of The Living Letters of Mother Mary, you will find words of encouragement to bring you back to a place of support, confidence, and love. Each of the 159 letters offers an inspiring message straight from Mother Mary, herself-a representation of unconditional love-who is not affiliated with any one religion, but is in all religions. Through her message, you will learn how to recognize those known as Wayshowers or Keepers of Light who will help you to move into a heart-centered life. Crush The Street is an alternative financial Podcast Talk Show and economic news source dedicated to the truth. We want to help you preserve and expand your wealth through conventional and some unconventional means. We study the markets and provide tips on current ... Más informaciones and future trends to look out for. Crush The Street is constantly on the prowl for investment ideas and trends that you can profit from. I am a full-time investor and entrepreneur with a passion for people. Stocks, real estate, and entrepreneurship has been my focus in terms of wealth building. I have over 15 years of experience investing and credit my success to the simple fact that I never gave up. I've received a Bachelor's Degree in Accounting from Cal Poly Pomona and have developed all of my experience actively managing my own money in the real world. The internet has made it possible for me to continue to do what I love and also be able to share this journey helping others also reach their financial goals. When I was in college, I told my finance professor that I was an investor, and that I wanted to start sharing my research with other people through a newsletter, his response couldn't have been more discouraging. His exact words were that, "no one will be interested in what you have to say and I don't think you will be successful." Against all odds, I disregarded his horrible advise and moved forward taking each day one day at a time developing from the good and bad experiences. Since then, I have co-founded multiple successful financial newsletters and have been helping people invest just like I had originally sought out to do. Through the experience of my own personal failures and victories, I have been able to mentor hundreds of people individually, and I have reached thousands through my newsletters just sharing my passion and doing what I love. In the process of sharing information, I've found myself thoroughly enjoying educating people on personal finance and motivating them to make positive changes in their lives. I look forward to continuing to be actively investing and helping as many people as possible to reach their financial aspirations in the process. Anyone facing death, grief, change, or a transition of some kind and desiring a more conscious, creative perspective could find Maria's work and play helpful. Her book titles include The Last Adventure of Life and The Most Important Day of Your Life: ... Más informaciones Are You Ready? The working title of her forthcoming book is: Befriending Death: Living Creatively with Endings.Many spiritual traditions are represented in Maria's books. She shares from her rich experience with hospice that has opened up her own spiritual life. Maria was born and raised in Japan, so she has an expansive, multi-cultural perspective as well. Seewww.changewithcourage.com and www.changewithcourage.com/books for more. This is a place where you will meet and be inspired by many diverse entrepreneurs, on how they have used there sphere of influence to create life changing results. Don’t you what the same? Tune in and ... Más informaciones get excited about the amazing guests Lexa Rollins will bring to you. So have your pen and paper ready and get ready to write the paycheck you have always been looking for. Lexa had a near-fatal motorcycle accident, spent 2 months in the hospital and resulted in a devastating traumatic brain injury. After 4 years of grief, depression, rediscovery, rewiring, relearning and then reemerging, took a village and unending resilience. Lexa is dedicated to helping others who have experienced a life-altering event. The talk show hosts of each individial podcast on this network (which attempts to maintain the value and integrity of this radio station website) are not specifically the views, the opinions, nor the philosophies of Real Revolution Radio (A Quantum Mindfulness Radio Production) or its affiliates. The pertinent information and commentary, recommended publications and suggested links broadcasted on these variable podcasts do not constitute legal, therapeutic, nor medical advice. No attorney-client relationship has been or will be formed by any communication to, from, or within Real Revolution Radio or (once more) its affiliates. For any legal, therapeutic, or medical advice... please contact a well suited and certified legal consultant, professional therapist, and/ or an appropriated medical professional at your own discretion. Do not send any confidential or privileged information to Quantum Mindfulness Radio or Real Revolution Radio. Real Revolution Radio and Awakening Paradigms (A Quantum Mindfulness Radio Production) will not assume any liability or responsibility for such correspondence. If you send any information, documents or materials to our Limited Liability Company or Companies, you give permission for the desired "talk show host" podcaster to include them on or in their broadcasted show. No information, documents or materials you send to any podcaster will be considered confidential or privileged by RealRevolutionRadio.com. Additionally, no such information, documents or materials will be returned to you. All decisions relating to the content belong to the podcaster. The individual and aspiring content matter broadcasted from RealRevolutionRadio.com are for entertainment purposes only. ET-First Contact Radio, hosted by MAARTEN HORST, broadcasts weekly about the development of Disclosure, First Contact and the Changes that are taking place on Gaia to prepare us for the great Shift, leading us to Ascension. All related subjects like The ... Más informaciones Galactic Federation will be dealt with in depth. Often Maarten will read and reflect on the messages from SaLuSa from Sirius (channeled by Mike Quinsey another host on BBS-RADIO) and the messages, including Sheldan Nidle. In a world where society has become to be, in the present, a beleaguring world, a Matrix, of the so-called "9-to-5" GRIND... there are those who refuse ... Más informaciones to fall prey to this limiting and denigrating paradigm. Sky Mandala Marcano is exactly one of those inspiring trailblazers and lucrative entrepreneurs. Join Sky for her regularly scheduled broadcast where she will guide you - the potentially "lost" in a sea of social marketing confusion. Sky will guide you in the right direction to higher business traffic and social media monetization. Sky Marcano is a Motivational Social Media Marketing Strategy Queen. She aids new business owners in starting real money-making venture income streams… essentially… while we sleep! Sky has owned clothing businesses for over 13 years and has lucratively sold clothing designs through Facebook and in her aggressive email marketing campaigns for over 5 years. She is additionally… an aspiring Huffington Post Blogger.www.SkyMarcano.com and a PERISCOPE SOCIAL MEDIA GIANT. Sky Marcano started her first clothing company at the age of 25 with two small children at home. After a year of selling wholesale and opening a small shop, two investors approached her. She brought on partners and grew the company to over 200 stores around the world and appearing on The Shopping Channel in Canada over 7 times. 6 years later the partnership broke apart, sadly. Then Sky started Mandala Sky Clothing from scratch. She decided to dedicate all of her time into learning creative top secret sales strategies for Facebook and email marketing. Her goal was to live a lifestyle where she could work, create and have time with her family. 2015 was the year her voice woke up suddenly and she felt called to start online private group training sessions and one on one strategy sessions. I wanted to connect more, produce more video and get into the online marketing world a little more by using Periscope and broadcasting daily. She now enjoys designing clothing, broadcasting and creating unique online motivational social media training. Sky’s training sessions are specifically for new business owners who want to transform ideas into reality and get to the next level of business by having the right online technology training and marketing funnels set up. Sky loves motivating people to get started with a vision plus encouraging people to take inspired action. Sky also loves helping people put all the puzzle pieces together so new business owners feel less overwhelmed and more excited going forward. "Welcome to my show, Jewish Mysticism, where the entirety of Jewish knowledge is freely dispensed. Jewish knowledged has been accumulating for 3500 years, like a fine crafted and aged wine; only now, at the End of Days, the ... Más informaciones end of the six thousand year Hebrew calendar, is this knowledge ready to be shared with the world. Inquiries are eagerly sought; no question is inappropriate but the one not asked. The ancients knew many secrets but hid their knowledge in obscure books so those portending agendas would lack the soul of the secret. However, in our time when life on planet Earth is culminating, the necessity of revealing this knowledge is magnified. To change the socially accepted nihilistic philosophies pervasive throughout society requires a new perspective as provided by this ancient knowledge. This secret knowledge is systematically symmetric, interchanging numbers and concepts revealed in story, exemplified in law while securely tethered to the original text." ​My name is Dovid. I am an independent Hebrew scholar, unaffiliated and uninhabited by the strictures of religion. There are four levels to the ancient knowledge known by the term Torah/Teaching. These four levels: the Text, the Law, the Story and the Secret are mimicked in the human body, which is segmented into three parts. The three triangles of the body: the head, the upper body and lower body are a microcosmic portrayal of our earth and our solar system. The fourth aspect of the body is the soul--the secret. Welcome to NCR, your window into the growing edge of the New Consciousness! On her award-winning radio show, New Consciousness Review, Miriam does in-depth interviews of Luminaries of the Conscious Awakening. You can find the archives of the past four ... Más informaciones years of this show on www.ncreview.com/interviews. She has created this new show with shorter-format interviews in order to give broader coverage to authors you may not yet have heard about and emerging trends you should know about. Miriam cherry picks the best of the dozens of books and films we get each month for review, to showcase the most original, provocative and transformational authors and ideas. We hope that at least some of the information you glean here will inspire you to create the life you were always meant to live! Miriam is the founder of New Consciousness Review and host of NCR Radio, a weekly radio show interviewing authors and filmmakers. She is also the co-founder of Luminary Voices, a speakers’ bureau for transformational speakers and musicians. For seven years after returning to the US from England, she was the publisher and editor of the New Connexion holistic journal. Miriam is a long-time student of energy medicine and is a Reiki Master. Prior to embarking on the spiritual path, Miriam worked in hospital administration and industrial R&D funding, becoming Vice President of a multinational software company. After moving to the UK, she was the Executive Director of a Public Health quango, and later General Manager of a medical manpower agency. A native of Venezuela and citizen of the world, Miriam speaks four languages and has lived on four continents. She has a BA in Romance Languages and Psychology from Boston University, and an MA in Psychology from the University of Virginia. Dylan speaks openly about the truths, myths and theories surrounding the Autistic World. He has presented his story over 100 times, all across the U.S. and holds NOTHING back about his struggles and more, hoping his story will inspire others, as well as ... Más informaciones their families, as they navigate through the difficulties of living life on the spectrum. Topics ranging in Living with Autism, Relationsjhips, How Autism influences Choices - Both Good and Bad! What's he learned also plays a crucial part within his journey of light and inspiration. Book Dylan today for your very special occasion or event. "I'm a radio show host and an author with a brutally honest, and witty personality. I exhibit an undeniable charm and see the world through a different set of eyes that to most--is not so obvious. I was diagnosed at the age of eight with High Functioning Autism. However, I do not hold back any punches as I speak truthfully, and with a raw sense of humor on my personal experiences through life...and living on the spectrum. My radio show is called NO OFFENSE! Outrageous Autism and the title sums it all up in a nutshell. As a nationally acclaimed inspirational speaker, I know what it takes to entertain an audience. My life is in a constant state of evolution, and my off-the-cuff improvisational skills are guaranteed to keep you on your toes and expand your listener's consciousness. The significance of the 8th day is that we have entered into a new revolutionary creative period of time. Which means that what has been previously experienced on the linear time line is no longer valid. The 8th day is about exploring the ... Más informaciones higher realm of the spirit! For the past 6,000 years our inner connection to spiritual realms of higher understanding have been limited. This limitation has kept us in the fearful dark concerning our Spiritual Heritage, along with the unlimited resources that are available to us NOW! This linear time zone no longer exists! Be prepared to step onto the path of One Wholeness Now, which is the individuals opportunity to define, explore and reveal their OWN inner connection to spiritual realms of higher understanding. Let us join together and hold hands as we move down this path of New Understanding. There is nothing to fear for the 8th day is the return to Love! Bobbi Friday is a certified Reiki practitioner, ordained minister and previous co- owner of "Sweetgrass, A Store to Awaken your Spirit". Bobbi has been a student of A Course in Miracles for over 8 years and carries the special gift of speaking! Her dynamic nature makes all who come into her experience feel right at home. She is known as The Miracle Mystic and a Voice of the New World. My name is Cheril Goodrich and I am a Co-host of On the 8th Day. My background comes from understanding the limited language that is spoken at the mind/ body level. The limited expression coming from the body has limited the natural ability that we received at birth to understand the unlimited expression coming from the Spirit. The Language of the Spirit is also the Living Language we share with the Heavens. By shifting the limited value of the words we use in our physical communication, into a Language that can be defined and understood by the Spirit, Whole New Core Values can be established. The purpose of the 8th Day is to establish Heaven on Earth. Because language is the means to establish any reality , the New Language of the Spirit will open the way to establishing Heaven on Earth. Just as salt water drops can create entire oceans, the perfect life is built upon bubbles of imperfect moments. And it is these imperfections within us that lend uniqueness and beauty and make us perfect – just as ... Más informaciones we are. How can we chisel these seemingly imperfect moments that life throws at us and make everything fall into place, as perfectly as we wish? How can we embrace ways of being much happier everyday? How can we enrich our lives more? How can we be in the driving seat of our lives by following our passions, instead of being passengers? We interview mind-body healers, writers, authors, miracle alchemists, renowned chefs, inspirational speakers, life and relationship coaches, marketers, business consultants/CEOs and many other interesting folks. Tune in every week to find out more!! Growing up in India combined with travels to Malaysia, Thailand, Singapore, Asia and Europe, gave me a great love of writing for Indian mythology and divinity tales. I write short stories and articles inspired by the power of happiness, love, laughter and the compelling flow and ebb of human emotions that make life an exhilarating journey! I am former journalist, now turned writer and part of a fantastic editorial team for the Coffeelicious online magazine on www.Medium.comwith 1.9K+ followers! I am also a content contributor for Thought Catalog, an online magazine for millennials. An MBA in Marketing, I work in marketing/business development/vendor relations roles for corporate entities in the United States. I have just completed my new book - " Be Perfectly Imperfect" - now available on my website: http://beperfectly-imperfect.com. Join Joel Ayala Ayapana for many countless, inspiring, and thought-provoking interviews as his once retired podcast platform (from the BBS Radio Network) in Quantum Mindfulness Radio and the Great Awakening is ... Más informaciones reborn from the ashes. After building REAL REVOLUTION RADIO X.0, a podcast radio network (created as an experiment in Universal Law during his rather brief rendezvous from the Podcast World), Joel has returned back to the World of Online Radio with even more Angelic Force and Quantum Theoretical Momentum. "As a Registered Nurse, I have utilized many elements of Neurolinguistic Programming, an understanding of Universal Law, Quantum Theory, Integrative Medicine, Mindfulness, along with the knowledge acquired throughout my countless conversational journeys as a Podcaster and as a Non-Traditional E-Journalist, to integrate these experiences as a grounding foundation within my practice as a healthcare provider within the field of Behavioral Health and Substance Abuse Treatment. Furthermore, I have integrated such practice and theory with the coordination and application of DBT Techniques (Dialectical Behavioral Therapy) in 1:1 Patient Interventional Therapy and in Group Therapy Sessions on several Psychiatry Units throughout my integrative and holistic career as a Registered Nurse. This, alone, has greatly allowed for me to, not only heal myself in many ways from my own losses in life, but it has also allowed for me to assist my clients along the road to recovery from addiction, an improved understanding to perceptual modification, the utilization of heightened forms of spiritual and emotional coping from anxiety, stress, and depression, resilience-building techniques, self-empowerment, heart-centered consciousness and coherence, and in initiating the change agent process to Unity Consciousness and Global Awareness. On the other hand, as a newly acclaimed public speaker, I have also presented my findings from the miraculous and inspiring effectiveness of this particular approach collaboratively with my own life experiences throughout several speaking events in Northeastern Ohio. Now, as my own confidence as a broadcaster and as a healthcare professional collaboratively evolved throughout these years, I have discovered that many of my individual life-works have also evolved in parallel. One of these creations that I always cherished from within heart was the development of each and everyone of these interviews on Quantum Mindfulness Radio. As I grew and evolved in knowledge and in Consciousness, so to speak, the podcast began to further deepen into the many quantum layers of multi-dimensionality. Overall, the theme of this one hour podcast lies within the intention to broadcast, not only the many facets of the human experience which deals with some of the most controversial and fascinating subject matters to date, but in additionally platforming some of the world's greatest movers-and-shakers-of-our-times involved within the 'Word of Conscious Awakening' - ranging from motivational speakers, experts, song writers, singers, musicians, authors, actors and actresses, archeologists and researchers alike. Together, in conversation, the limitless menu of topics for discussion can consist of subject matter drawn from Quantum Theory, Integrative Medicine, Alchemy, the meta-physical, the unexplained and miraculous, the philosophical, the synchronistic, the intriguing nature of variabled belief systems, spirituality, the esoteric, the paranormal, the Ancients, ancient civilizations, Sacred Geometry, Numerology, the Mystery Schools, and in the many other facets of the unexplored, the subjective, and uncharted realms of the human experience. This can all be covered from one inspiring show to the very next whilst leaving the dedicated listener intrigued with wonder, self-empowerment, limitlessness, and bliss. Quantum Mindfulness Radio was a Podcast Radio Talk Show that was originally started as an exploratory experiment on the BBS Radio Network. But once I began to become more aware of the Power that I possessed with a microphone in hand, the significance of every conversation (seemingly spiritually guided), allowed for me to evolve (once more) as well in Consciousness." Joel Ayala Ayapana is a Veteran of the United States Air Force. He has been practicing within the specialized nursing field of Behavioral Health as a Registered Nurse for nearly sixteen years within the Cleveland Metropolitan Area (Northeastern Ohio). His inspirational work through the application and instruction of Dialectical Behavioral Therapy, Positive Psychology, Quantum Mechanics, and Heart-Centered Research Based Science towards populations among vast and widening socioeconomic scope, the mentally ill, the homeless, victims of substance abuse, anxiety disorders, and depression has earned him several awards and recognitions within the field of nursing. Additionally, throughout all of his spiritual travels, he has received initiations and blessings from a number of prominent spiritual teachers, including Reiki Master Judy McCracken, Anrita Melchizedek, Solara Anra, Shaman Steve Spooner, Kundalini Yoga Guru Gurmuk Kaur Khalsa, Incan Quero Priest and Shaman Lorenzo Quispe, Author and World Traveler Aluna Joy Yaxk’in, Healer and World Traveler Raphael Greissmeyer, Incan Mystery School Initiate Willaru Huayta, and Theta Healer Expert Jennifer Klarfeld. Joel is also the author of his very first book, entitled The Book of Positive Light: Remembrance of the Heart. Additionally, he is a motivational speaker, a Reiki practitioner, a Kundalini Yoga enthusiast, a Light Worker, numerologist, a philosopher, an alchemist, author, traveler, marathon runner, and a prolific blogger. Furthermore, Joel is a lover and a fighter, a father and a son, a friend and an inspiration, a seeker of truths, and an awakener of hearts. DISCLAIMER: By accessing this Podcast, I acknowledge that QMR and/or RRRX makes no warranty, guarantee, or representation as to the accuracy or sufficiency of the information featured in this Podcast. The information, opinions, and recommendations presented in this Podcast are for general information only and any reliance on the information provided in this Podcast is done at your own risk. This Podcast should not be considered professional advice. Unless specifically stated otherwise, QMR/RRRX does not endorse, approve, recommend, or certify any information, product, process, service, or organization presented or mentioned in this Podcast, and information from this Podcast should not be referenced in any way to imply such approval or endorsement. The third party materials or content of any third party site referenced in this Podcast do not necessarily reflect the opinions, standards or policies of the QMR/RRRX. QMR and/or RRRX assumes no responsibility or liability for the accuracy or completeness of the content contained in third party materials or on third party sites referenced in this Podcast or the compliance with applicable laws of such materials and/or links referenced herein. Moreover, QMR/RRRX makes no warranty that this Podcast, or the server that makes it available, is free of viruses, worms, or other elements or codes that manifest contaminating or destructive properties. 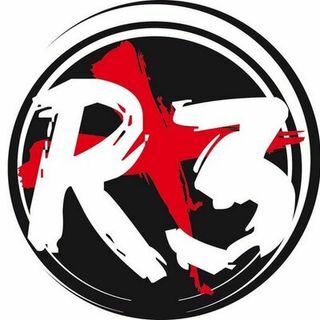 "REAL REVOLUTION RADIO X.0 (The R3 Radio Network) is a Digital On-Demand Network of inspiring podcasts and video broadcasts created by authors, enthusiasts and trailblazers of the Conscious Global Awakening Movement. These unique talk shows cover a limitless array of entertaining and controversial viewpoints which touch into the ... Más informaciones realms of Consciousness, Quantum Theory, Ancient Archeology, Integrative Medicine, Spirituality, Self Help, Transcendental Meditation, and much much more. Welcome to the Revolution of Alternative Podcast and V-Cast Radio!" "Real Revolution Radio 2.0 believes in the Rebirth of the 'INDIE' Author Revolution which is literally awakening the world by storm. And because of this, we passionately believe in books! And what better way to combine the very worlds of inspiring Podcast Radio than with doing so with the alternate World of Audio Book ... Más informaciones Trailers. Join the Real Revolution Radio Network 2.0 as we newly embark into the world of voice and inspiring Hollywood Sound. Join us today and inquire within." Enjoy our thought-provoking and entertaining line-up of commercials produced from some of the most inspiring up-and-coming online talk shows, authors, and voice-overs within the rising industry of PODCAST RADIO! Be a part of that CHANGE! EVOLVE! INSPIRE! Linda Roberts and Hailey Hinson are compassionate guides of the Soul. Their list of offerings and teachings span across ancient, multicultural, and spiritual healing modalities. Standing in their own power, this dynamic duo uses their intuitive abilities to assist others to find their true selves, move through their transitions, and guide souls along their path, to step into their own power. As animal lovers their whole lives, both help animals and their humans through animal communication and energy work. Linda’s passion to help others to blossom into their power, led her to specialize in practicing and teaching Shamanism, Reiki, and Egyptian energy belly dance. Hailey assists others to become their true Self through teaching many energy modalities, facilitating meditation, animal massage, and body movement. Both of these ladies use essential oils to assist the health of their loved one, students, and themselves. Join them as they share their wisdom for the benefit of all. Tom Paladino has developed a remote treatment process, using a scalar instrument, whereby he is able to administer the scalar energy reverse-phase angle harmonic of a pathogen, ... Más informaciones thereby causing that agent of infection to disassemble or fall apart. He calls this a pathogenic cleanse. Scalar energy operates at the quantum level and is capable of disassembling all types of pathogens remotely; for instance, bacteria, virus, fungi, amoeba, parasites and protozoal infestations, thus eliminating the causative agent of disease. Once the causative agent of a pathogen disease has been eliminated the symptoms associated with that infection decrease or disappear altogether. Join Tom Paladino as he explores the many aspects of this healing technology utilizing the Power of Zero Point Energy. Tom Paladino began research with scalar energy, aka the Creative Strength, during his under-graduate years. He was inspired by various scientists, especially Nikola Tesla, as to the existence of an energy that was not of the electromagnetic spectrum. With this inspiration, he pursued a course of independent study in order to better understand and subsequently harness scalar energy. Scalar energy is also known as prana, chi, radiant energy, zero point energy, qi, orgone, eloptic energy. After years of experimentation and modification, Tom has developed a technique using scalar energy that will transmute pathogens quickly and painlessly. This technique facilitates the use of photographs of people who desire to have pathogens transmuted in their bodies. He has developed a remote treatment process whereby he is able to administer the scalar energy reverse-phase angle harmonic of a pathogen, thereby causing that agent of infection to disassemble or fall apart. Scalar energy operates at the quantum level and is capable of disassembling all types of pathogens thus eliminating the causative agent of disease. Once the causative agent of a pathogen disease has been eliminated the symptoms associated with that infection decrease or disappear altogether. Using nearly 200 years of abundant and consistent afterlife evidence, quantum physics, consciousness research, and ancient writings, we seek to understand who and what we are, how reality works, the nature of God, and the meaning and purpose of our lives. The truth is ... Más informaciones accessible to us now, and it is beyond-belief wonderful! Join us each week as we work together to better understand our one reality and gain insights into how we can make the most of the glorious eternal beings that we are. Steven D. Lightspring is an inspirational writer, publisher, workshop director, souful singer-songwriter musician, passionate poetic performer, and a playful character actor who also happens to be a long-time soothing sound and light visionary. SteVen D. LightSpring has published SEVEN VOLUMES (over 600 pages) of "Poetic Bliss." His compilation volume, "Delight Beams" is a favorite among long-time followers of his work. He has also recorded SIX "playfully meditative" instrumental albums, and SIX vocal music and music-blended poetic performance albums. Steven has the last FOUR of those albums now available online on CDBaby, iTunes, and many other outlets. "Eagle Sky Views", "Journey for My Heart", "Delight Beams" and "Awaken to Love" are not to-be-missed albums for those who enjoy the Joy of SteVen's work! He has traveled and performed in many venues that have been most welcoming of his heart-affirming soul-soothing, spirit-uplifting words, music and sound (i.e. some festivals, churches, synagogues, other spiritual communities, coffee shops and even some "home concerts" - where ever peope might most appreciate "a good word." He enjoys working "win-wins" with fundraiser efforts and worthy causes in many settings. He is still available for a limited number of appearances each year. Among a number of music, writing and "soothing sound" projects... he's anticipating releasing in 2016, his new album, "Awaken Again" which should be the first "prose" book on the "Seven Year Cycles of the Soul" which shoul be forth-coming kater in the year. Starseed Radio is hosted by Jonah Bolt, a modern day renaissance man. Jonah has traveled to over 40 countries world-wide, Has toured the US for motivational speaking, done numerous TV & Radio Interviews globally and has been published over a dozen times for his ... Más informaciones poetry and other writings. Given his grace and energy toward people awakening to what is happening in this world, Jonah is inspired to help empower people through sustainability of Food, Water, FREE Energy and Education around the globe. Starseed Radio is an action based radio show with a plan to help build the unrelenting sense of empowerment of one's self, family and their community through ancient knowledge, secret information and technology to sustain a better global community. The commentator Jonah Bolt covers the latest in World News, Conscious Living, Health & Wellness, Earth Changes, Global Events, New Technologies, Spirituality, Sustainable Practices, Esoteric Topics, Holistic Practitioners, Healers & Galactic News. His inspiring show, featuring ground breaking Conscious content that includes Environmental and Social Change movements, Activism and getting people more actively involved in their communities, only encourages motivation to inducing substantial change... in all aspects of the name. Starseed Radio is hosted by Jonah Bolt, a modern day renaissance man. Jonah has traveled to over 40 countries world-wide, has toured the US for motivational speaking events, done numerous TV & Radio Interviews globally and has been published over a dozen times for his poetry and other writings. Given his grace and energy towards people awakening to what is happening in this world, Jonah is inspired to help empower people through the sustainability of Food, Water, FREE Energy and Education around the globe. He has brought together a massive network of people who also want to make substantial change aboard our Spaceship Earth. Starseed Radio has hosted some of the world's top doctors, scientist's, spiritual leaders, kings, Diplomats, presidential candidates, music artists, authors, visionaries, activists, and other special guests. Over the past 5 years of Starseed Radios broadcast, the show is now reaching listeners in over 162 countries. In 1998, Susan E. Kolb, M.D., F.A.C.S. created Dr. Susan On-Call radio show to educate the public about the latest breakthroughs in health, science and spirituality. In 2003, we added additional medical expert co-hosts in the fields of holistic and ... Más informaciones traditional medicine and decided renamed the show Temple of Health to correspond with our mind~body~spirit approach. Each week we bring the audience a personalized educational experience with leading authors, national and local experts on the following topics: Traditional and Holistic Medicine Integrative Health Philosophies Spiritual Growth and Fulfillment Scientific Breakthroughs Various Medical Disorders Including: Diabetes, Cancer, Thyroid, Depression, Heart Disease, Arthritis, Alzheimer's, Nutrition, Auto Immune Diseases and Many More. Over the past nine years, Dr. Kolb’s radio shows have captured the attention of a vast demographic that includes an upscale market segment comprised of health conscious consumers in addition to traditional and holistic physicians and practitioners. Join Well-Renown Plastic Surgeon, Healer, Proponent for Integrative Medicine, and the Host of her ongoing and inspiring Talk Show - Temple of Health Radio as Susan will provide for you, the listener, with options to living a healthier and happier life. Certified by The American Board of Plastic Surgery in 1985 and the American Board of Holistic Medicine in 2001. Dr. Kolb graduated from Johns Hopkins University and received her medical degree from Washington University School of Medicine. She completed her post-graduate education in plastic surgery and general surgery at Wilford Hall Medical Center. Specializing in plastic and reconstructive surgery, Dr. Kolb has been certified by the American Board of Plastic Surgery since 1985 and is a founding diplomat of the American Board of Holistic Medicine. She is a member of the American Society of Plastic and Reconstructive Surgeons, American Holistic Medical Association and a Fellow of the American College of Surgeons. Dr. Kolb has been in private practice in the Atlanta area since 1988 and is also the founder of Plastikos Surgery Center. Plastikos was established in 1995 as a holistic surgery center incorporating many disciplines of alternative medicine and spiritual healing. Dr. Kolb hosts a weekly radio program “Temple of Health” every Saturday from 11:00 am - 12:00 pm onwww.RadioSandySprings.com - which offers a variety of informative topics on holistic and spiritual medicine as well as health and fitness. Susan Kolb, M.D., FACS, is the Founder of Millennium Healthcare and Avatar Cancer Center. She is a recognized authority on energy healing and spiritual medicine as well as one of Atlanta's leading plastic surgeons. Dr. Kolb incorporates holistic, spiritual, Traditional Chinese Medicine and the teachings of ancient healers into her modern surgery practice. The Alchemist Jedi Radio Podcast will be going over countless topics to help you transform your life from overcoming mental and emotional dis-ease to improving physical health and learning ways we can come together to create paradise on earth. Jedi Hill is a Visionary, a Reverend, an ... Más informaciones Intuitive Coach, and Healer. Jedi was raised in the country on top of a hill overlooking a lake. His dad taught him how to meditate when he was 5. Growing up he was raised with both Christian and American Indian teachings including the ways of the pipe and ended going on a traditional vision quest when 16. To this day he is a voracious reader studying everything he can get his hands on in the fields of health, medicine, physics, religion, philosophy, psychology, neuroscience and more. After graduating high school he went to south Dakota and taught wilderness survival and Indian lore then came back to Ohio to attend massage school. Just a few months before graduating massage school he was in a wreck where a semi smashed his car ripping apart the rotator cuff and damaging the nerves in the right arm. This caused him to go on a quest to Colorado where he learned from an osteopath and many other healers how to heal himself naturally and gained the skills to help you transform your life. Now he does healing work to help you overcome both physical as well as mental& emotional dis-ease utilizing a plethora of techniques learned around the country as well as studied from ancient cultures. Welcome to the Alena Galan Talk Show: Making a Difference as your host, Alena Galan, not only talks about her own journey to overcoming Life’s Obstacles, but also talks with other inspiring people ... Más informaciones whom have also “staked claims” within this world to making exactly just that: A DIFFERNCE! Let’s make that difference on other people’s lives… TOGETHER!!! It’s only natural for her to continue living out her dreams in TV and music here at Quinnipiac. “I have always had an old soul. I never really fit in or followed the rest of the crowd,” Galan said. “Being myself, I always felt at home and having all the support from my family made it even better.” Her family is built on positivity and brings encouraging support in whatever Galan does. Galan went on and on about how amazing her family and mom are and how they’ve led her to where she is today, but she wasn’t always surrounded by so much love and support. After a challenging life growing up as a child in Western New York, Hal Steinhart had additionally gone through even more struggles as an adult. When Hal graduated from Case Western University with Honors he experienced his first major breakdown of his life - ... Más informaciones the first out of five. Shortly, Hal was clinically diagnosed with multiple emotional disorders which further threw his world into a tailspin. But after learning from these struggles, Hal later was able to devise a new but rather lucrative therapy to assisting others in their fight for internal peace. Join Hal in his new show that introduces to you his story and in his newer form of therapy that will take you, the listener, to EVOLVING PERSPECTIVES. Hal Steinhart has been in private practice for 28 years therefore patients can benefit from his wide range of experience. He enjoys working with multicultural patients and with the wide variety of races, religions, and cultures in the Cleveland area. He has worked with children, adolescents, and adults utilizing Chemical Dependency theory, Cognitive Behavioral Therapy, EMDR, Gestalt Therapy, spirituality, and Structural Family Therapy. He takes particular joy at this time in helping adolescents and adults overcome trauma with a new trauma treatment methodology Cognitive Behavioral Sensory Desensitization (CBSD) which works faster and deeper than any other previously tried. Whereas traumas were once seen as the result of combat, sexual assault, natural disasters, etc. we now know it can also be caused by abuse, neglect, car accidents, physical illness, rejection, discrimination, death , humiliation, abandonment (real or perceived) and more. CBSD works with either type. Hal looks forward to hearing from you. REAL REVOLUTION RADIO Supports "Indie" Music of All Genres because we LOVE Freedom & Independence!!! Be a part of that CHANGE!!! EVOLVE!!! INSPIRE!!! A show about the changes going on in us, to us, around us, and ... Más informaciones because of us. Therefore, it's technically a show about "Everything," only with a how to make it better, see it better, be better.In the show, there is talk about, and with, people who have either been through major changes, are helping others with major changes, or people who are changing the world for the better in a major way. Filippo had turned his focus from live performances and in recording songs -which was something that he was very comfortable with and well-intuned to- to live radio and in interviewing guests on a radio talk show that he name “Filippo and the Chef,” which aired on terrestrial radio weekly for two years in over 25 cities in the U.S. All the while Filippo was gaining interest in, and studying the ﬁeld of energetic healing and became an Energetic Alchemist Master and Teacher, a Reiki Master and Teacher, a Theta Practitioner Healer, a Reconnective Healer, and an Ordained Minister. After only a year on air, Filippo and the show have already received kudos including the President's Call To Service Award from President Barack Obama. Welcome to the Maureen Show hosted by Maureen Pisani, Hypnotherapist, prolific Author, and Healer. Join Maureen as she takes you to the Alternative Realms of Healing Practice, such as Reiki, Ayurveda, Yoga, Integrative Medicine and ... Más informaciones other Paradigm-Breaking Modalities of Healing & Balance. As an Author and Motivational Speaker, Maureen utilizes her experiences to highlight how each of us has hidden strengths within us. As a Hypnotherapist, Maureen is at the Mastery Level in all 4 modalities – Hypnotherapy, Therapeutic Guided Imagery, Neuro-Linguistic Programming (NLP), and Reiki Energy work. In addition, she is the ONLY Hypnotherapist who has been a Director and Instructor in two Nationally Accredited Colleges and is also a Trainer for NLP. Because of her medical and scientific training and background, she is also the ONLY Hypnotherapist who is a co-author of a research paper issued by the Neuroscience Department at UCLA. She is the resident Hypnotherapist at the renowned Chopra Center in La Costa, San Diego County, CA. Maureen has authored 9 books and produced more than 25 Hypnotic CDs. Maureen is the founder of Pro-Thrive Science-Based Hypnotherapy where she works with groups and individuals, in person or online, to help them go from just surviving to truly thriving. The Myth of Perception Talk Show on Real Revolution Radio takes you, the listener and perhaps "A Seeker" of sorts, to a journey of a Question, or perhaps even a series of Questions... where all things brought to this intriguing platform by author and ... Más informaciones Host -Joe Burgess- are questioned multi-dimensionally in all aspects of observation... where we may even conclude that reality... life... and in the Universe... is all based upon THE MYTH OF PERCEPTION! Joe Burgess is not only a philosopher of sorts, a questioner of sorts of life and in the Universal process of things. He questions everything! And he does so in a very intriguing way that is not meant to poffend people nor any of his guests for that matter... but his particular format in how he introduces concepts and in philosophies... challenges us as Human Beings to evolve in ways of which we had never known to be possible. Of course, according to Quantum Theory, we cannot evolve multidimensionally in many ways, unless we are challenged indeed outside of our own comfort zones pin life. From all of the conversations inspiringly platformed on this podcast, we will then find (profoundly enough) that true Evolution lies from within that discomfort. This is true Enlightenment! The Unicus Radio Hour features a unique blend of ideas and information from around the world and beyond. During his passionate pursuit of modern and ancient mysteries, Robert has traveled to 58 countries to date. Robert's quest for unique ideas and ... Más informaciones information has led him to research and write about many controversial topics. His ongoing investigations have been featured on television, radio, print and the Internet. "ENJOY ONE OF OUR "FIRST BANNED" YOUTUBE PODCASTS... with our newest online radio talk show, called The Unicus Radio Hour with your intuitive host Robert Stanley. Once more, the reasoning for the RED FLAG placed on this podcast is unclear but it seems that the very content matter that is portrayed within this particular talk show is extremely controversial. In order to prevent risking the network's place and integrity within the socialmedia Youtube platform, access to this podcast is only limited to being broadcasted on our website through our Legendary Archives and additionally within the Spreaker Podcast Community. To gain access to this highly controversial show, please visit Robert Stanley's LINK within the network at Real Revolution Radio 2.0: http://www.spreaker.com/show/the-unicus-radio-hour - Thank you dearly for tuning in." Are you ready and pumped to make the change to a higher consciousness of cleaner, healthier Plant Based Living? Then, Come join your hosts Jim Marconi & Dr. Michelle Marconi on the Vegan Troubadour show! Enjoy this one hour ... Más informaciones cornucopia feast of goodies as they guide you on a journey of health, wellness, & nutrition, presenting an exciting variety show of original music, in-depth interviews, and insightful wisdom into the the fascinating world of Plant Based lifestyles. Jim Marconi and his daughter, Dr. Michelle Marconi, will be exploring Cleveland's hottest and newest happening scene of Vegan Nouvelle Cuisine, with intriguing guests, vegan chefs, new eateries, current affairs, and real life transitional stories straight from vegan folks from our own metro region. Don't miss this sweet & savory show. It will change your life! Join Mr. Irvin Skipp Young for a compelling experience in podcast talk radio as he will guide you, the seeker, to other realms of spiritual possibilities - from what Skipp often makes reference to as - third eye-opening once we are to evolve more ... Más informaciones into the heightening realms of Consciousness. Truly, who are we ultimately. Spirituality has been the passion, the “calling” of her life, and she has dedicated her life to spiritual research and exploration. A dear friend of hers introduced her (at age 15) to a book that would ... Más informaciones transform her life. It was called An Autobiography of a Yogi by Paramahansa Yogananda at. At about the same time she was also introduced to an Indian guru of the Sant Mat religious movement and spent a weekend retreat with him in Toronto, Canada. She was a voracious reader and felt a powerful affinity for the teachings of Sant Mat. Paula Vail has been asked numerous times throughout her life: “Why are you so happy?” Even in the face of tragedy, the ability to carry on in joy has stumped more than a few folks. Paula determined the reason for her happiness was that she deliberately ... Más informaciones chooses it. Every day, she wakes up and makes a calculated effort to smile and feel peace and love. Paula was inspired to start her radio show, Why Am I So Happy, to have conversations with experts who all promote gathering tools and techniques to achieve and maintain happiness. Recognizing that a calm and joyful state of mind affects every aspect of life, Paula welcomes speakers onto her show to share their knowledge and wisdom on combatting the effects of every day stress, relationship challenges, traumatic experiences and poor health. Authors, Life Coaches, Doctors, Shamans, Ministers, Healers, Film Makers and Destiny Architects are just some of the examples of professionals you’ll find on Paula’s weekly show. Learn about growing success in love and business, healing through nutrition, alternative medicine, holistic health, self-empowerment and spirituality. Paula’s warm presence welcomes both speakers and listeners and invites deep conversations on philosophies of life, purpose, happiness and healing. We hope you’ll join us on Why Am I So Happy! Paula Vail is a Reiki Master Practitioner and Teacher and the host of multiple radio shows. She is the owner of Wellness Inspired, an alternative medicine practice in the greater Seattle area that offers Reiki treatments, Reiki training, and mentoring to Reiki practitioners. Before discovering Reiki Paula spent much of her life working in customer service. She worked for 27 years at a local restaurant, which she eventually bought and ran successfully for several years. Paula first discovered Reiki when her beloved family dog became ill. Someone suggested that she learn Reiki and things took off from there. Today, in addition to her Reiki practice, Paula is the host of “For the Love of Reiki” on Voice America and “Why am I so Happy” on BBS radio network. In 2015 Paula was featured in the Women of Distinction Magazine and appeared on a billboard in New York City’s Time Square by the Continental Who’s Who organization as a Pinnacle Professional. Paula’s business, Wellness Inspired was voted the Best of Tacoma in the wellness category three years in a row (2013, 2014, 2015) earning it a place in the Hall of Fame.